As we were sitting in traffic in a forest somewhere north of Port Elizabeth, the conversation turned to the dragonfly that was making several vain attempts to land on the black Mustang in front of us. It was 89 degrees, so we wondered if the insect found the metal trunk lid too hot to handle. What with all the trees on both sides of the road, there wasn’t much else to inspire us, so I asked Pat if she had called dragonflies by their alias, darning needles, when she was a kid. It turned out she had used that term, and that , like me, she had been told by adults supposedly looking after her welfare that a dragonfly left to its own devices would sew her mouth shut. I heard that story from my mother, and I believed it. 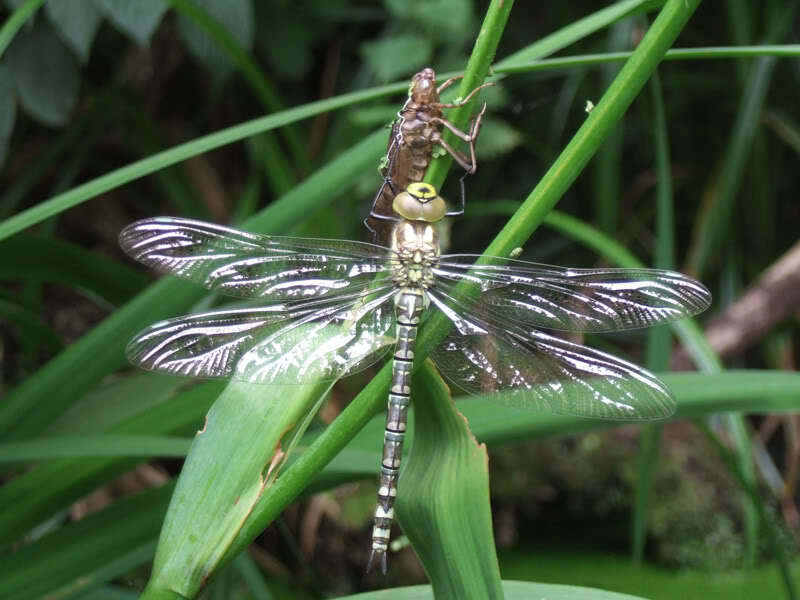 Of course, I know better now – intellectually, that is – but I still shy away from dragonflies. I have since learned that dragonflies are good friends of ours in that they eat mosquitoes and flies. I don’t know why adults who perpetuated the lip-sewing myth singled out the dragonfly for opprobrium, especially since those same adults told us kids that we could do hard time for molesting a praying mantis — and precisely because the mantis is a valuable predator. Dragonflies, of course, do no such thing. 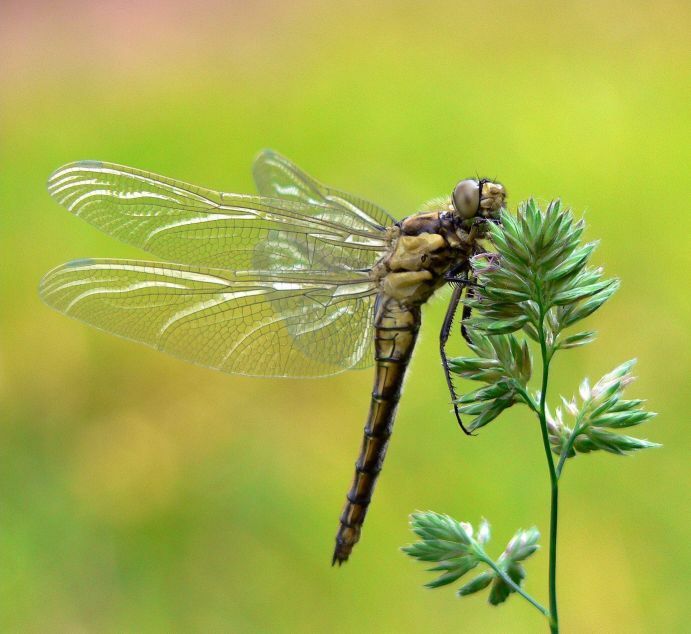 In fact, creatures belonging to the order Odonata (Latin for “toothed,” a reference to the chewing mandibles dragonflies share with most other insects) and the infraorder Anisoptera (Latin for “unequal wings,” because dragonflies have broader hindwings than forewings) have no sting, let alone needlepoint. They are perfectly harmless to humans, if not to their prey: smaller insects, including ants, bees, and the mosquitoes . . . .
My parents called them darning needles, too, and we called fireflies “lightning bugs.” I remember the warning that I would be thrown in jail for killing a praying mantis; I also remember wondering just how hard it could be to get away with such a crime, although I never dared try it.